Real fruit rots, bruises, has odors and attracts flies. It also is full of healthy vitamins, minerals, living enzymes, fiber, and all sorts of things we don’t even understand yet! 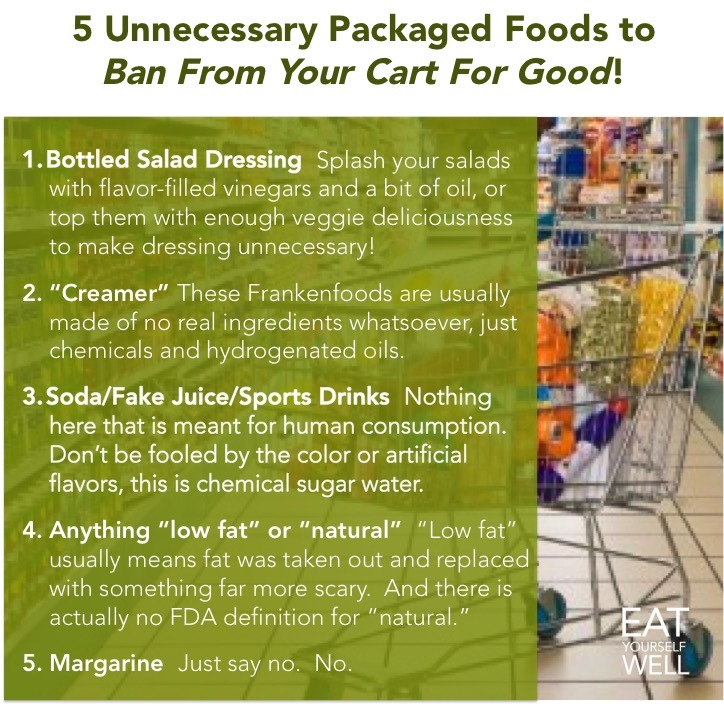 To hold onto its sweet goodness, you can freeze it, cook it, dehydrate it, ferment it into delicious kombuchas, or more … but for goodness sake (literally), don’t buy it in packages laced with chemicals, added sugars and fats, and natural/artificial flavors and colors! 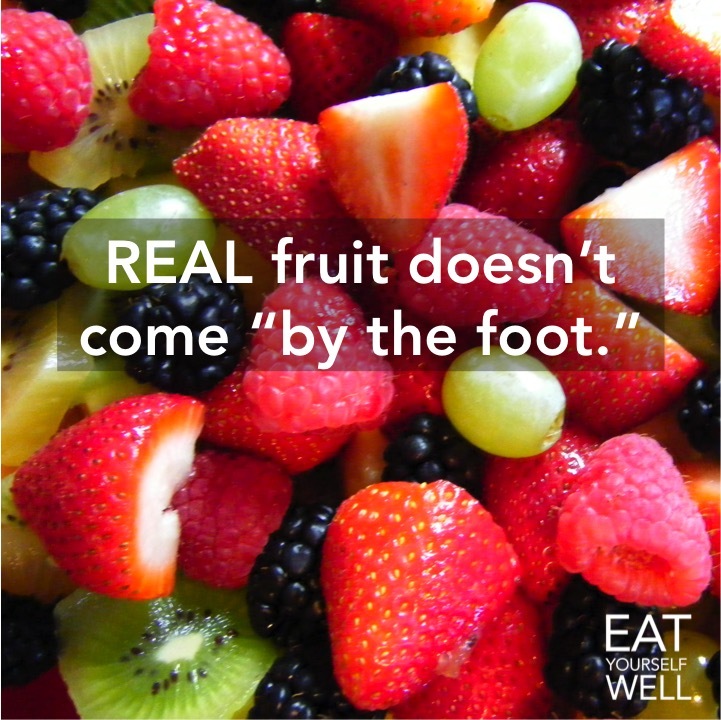 That’s not fruit, it’s frankenfruit, and your body deserves better. 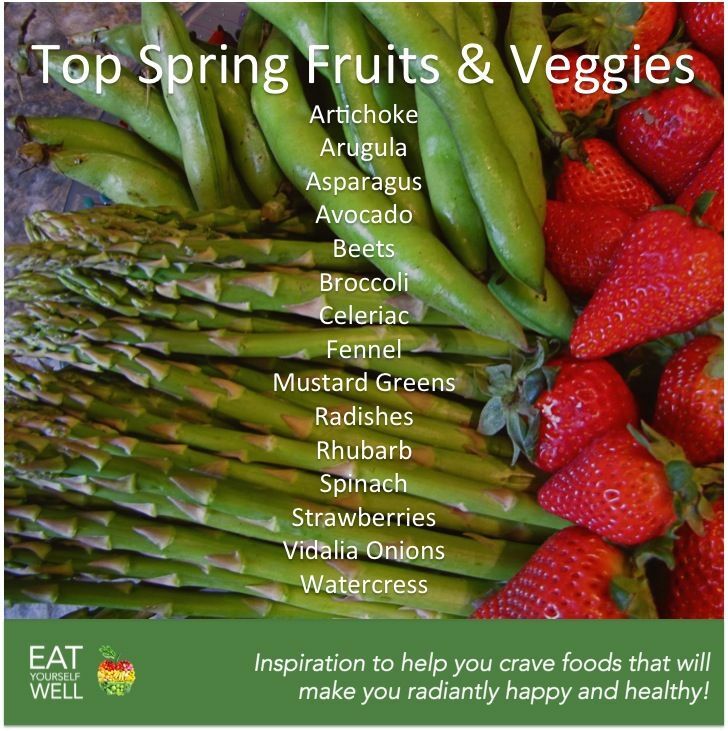 And the most awesome choice of all is to free yourself from the tyranny of having to make and re-make this decision again and again … to decide, once and for all, that the only foods for you are the ones that promote wellness and vitality – that the rest is not worthy of the word “food” in your world. 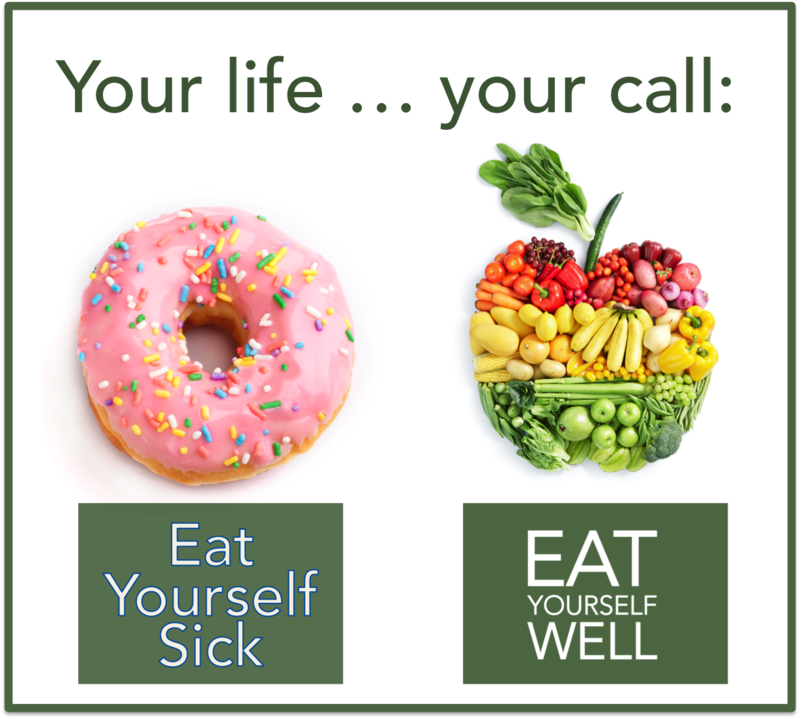 Eat Yourself Well! P.S. If you haven’t subscribed to the blog yet, please do so (to the right, or below the pic), for regular inspiration, recipes, and more goodness to help you Eat Yourself Well! 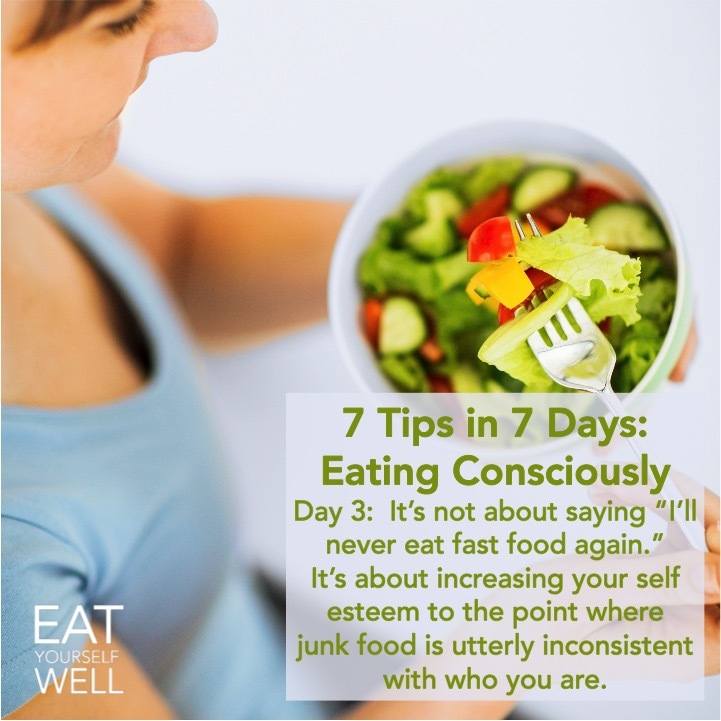 This may be my favorite “eating consciously tip” ever! When people say, “I’m trying to cut out (insert favorite junk food here)”, I remind them that thinking “I can’t have this treat” feels like punishment, but raising your food standards is empowering. Or to say it another way, what marketers have sold to you as a TREAT is actually a TRICK. 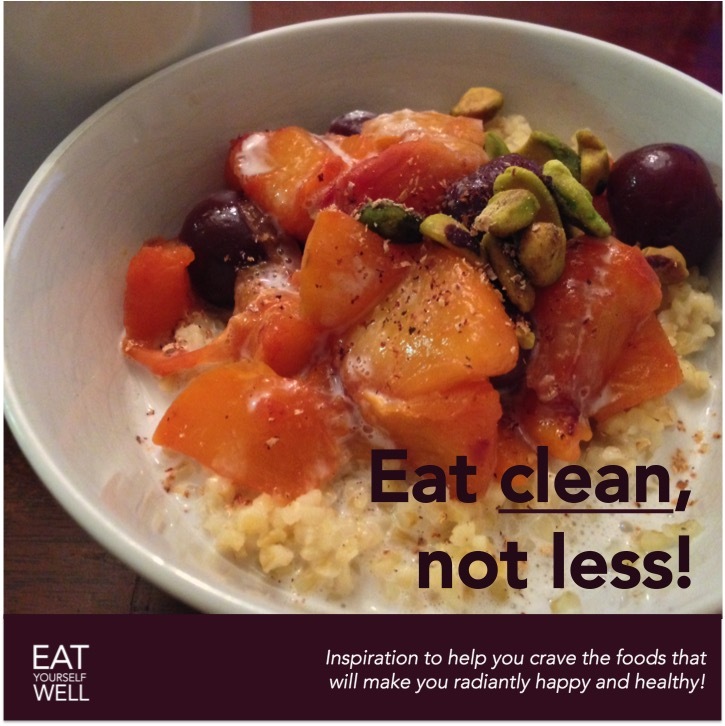 – posted by Jennifer Silverberg, Eat Yourself Well! 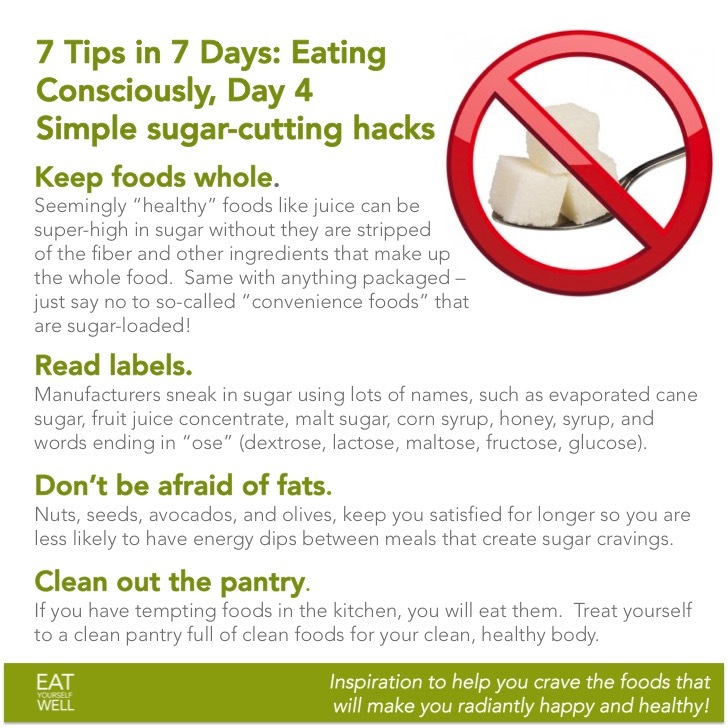 One of the first steps to healthier eating is to become more aware of what and when you’re eating. For most of us (me included), mealtimes can devolve into a handful here, a handful there … and before you know it, you’re full and you don’t even really remember enjoying food at all! 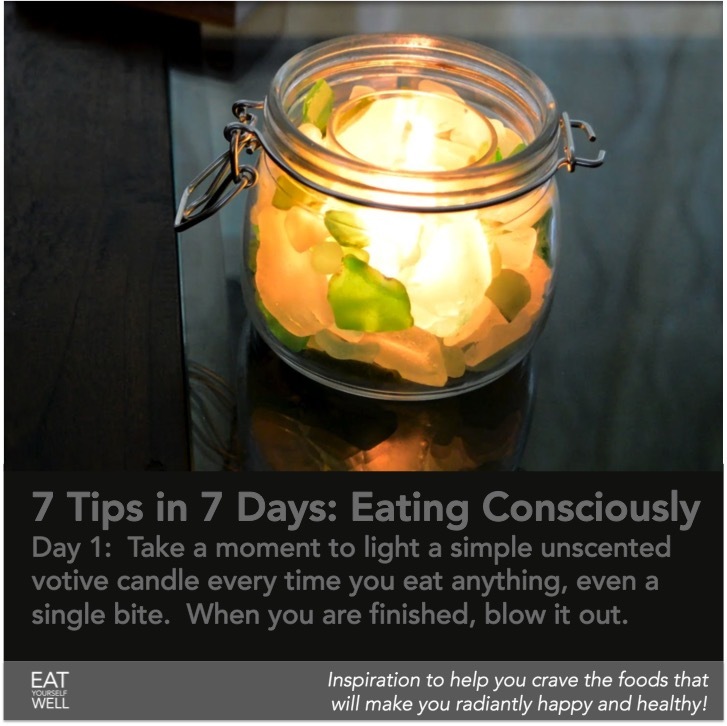 One simple step to help break this pattern is to commit to lighting a candle before taking a bite, any time you have a meal or snack. 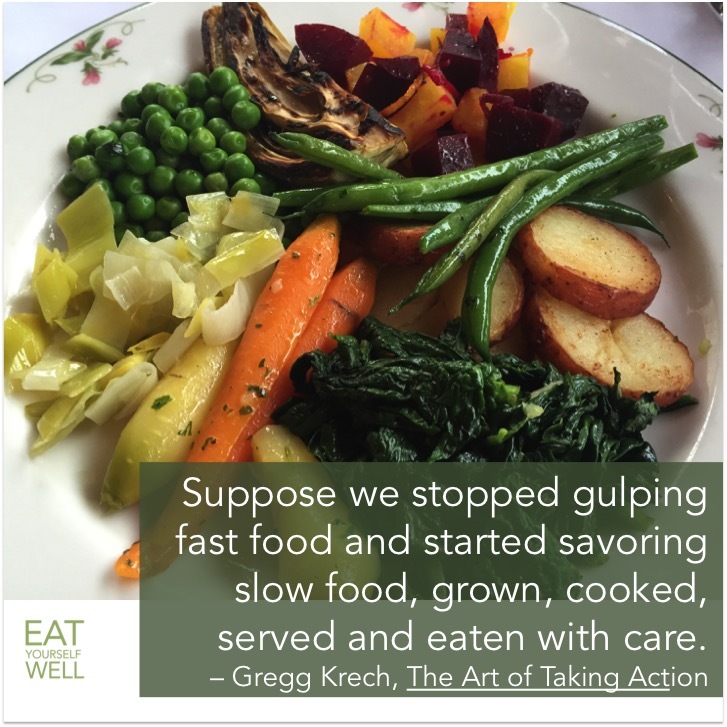 This one small change has helped lead many people to seemingly effortless changes in their habits … simply by bringing awareness and focus to the food in front of them. 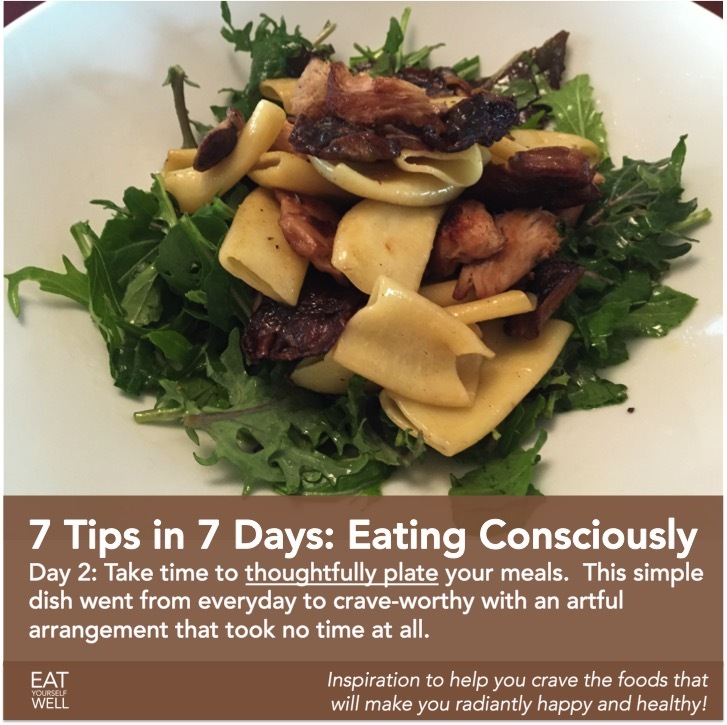 This is Day 1 of 7 Days of Eating Consciously tip … don’t miss the next one – use the button in the upper right of this page to subscribe to the blog! NOTE: If you love the sea glass candle shown in the graphic, click here to see how to make one.